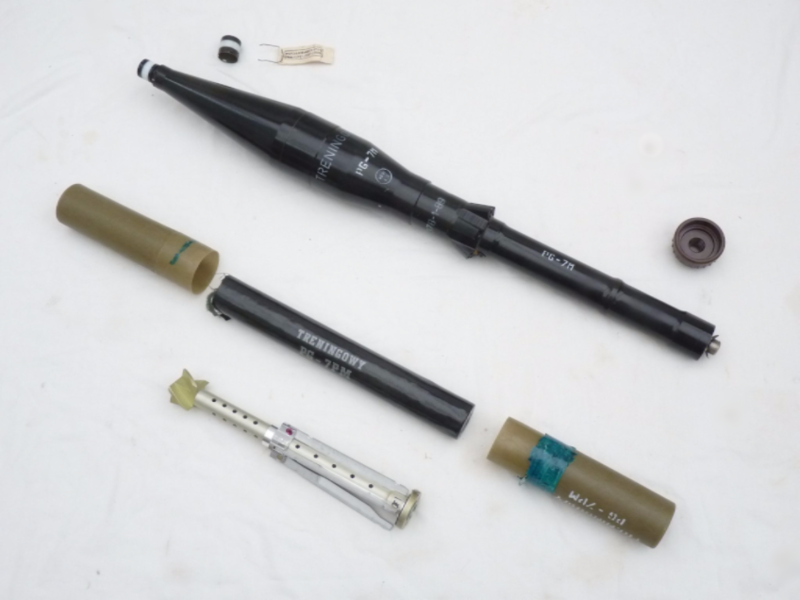 This is a Polish built PG-7M anti-tank grenade, launched from the RPG-7 grenade launcher, the world's most widely used RPG. 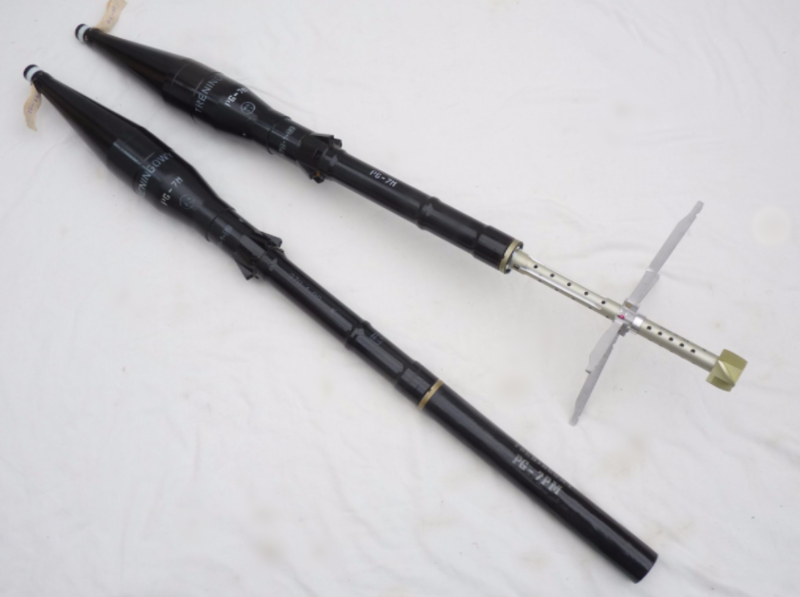 Dated from the 1980s on the warheads and the body, deep in the Cold War, these missiles are in very good condition, complete with aluminium retractable vanes, and protective plastic transit sleeve for the detachable vanes, and measuring 95cm in total length. 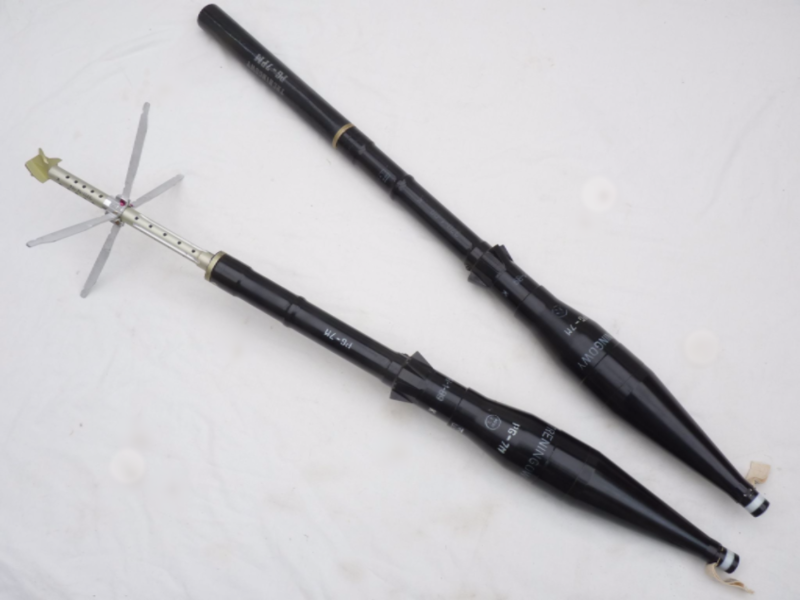 They are in fact training grenades, but exactly the same as the live versions, weighted inside with replica explosives and propellant, to fully feel like a live one without being in any way dangerous! Able to be fully dismantled, but I haven't done so as it is too tight. This anti-tank grenade in completely inert and harmless and contains no dangerous/explosive materials. 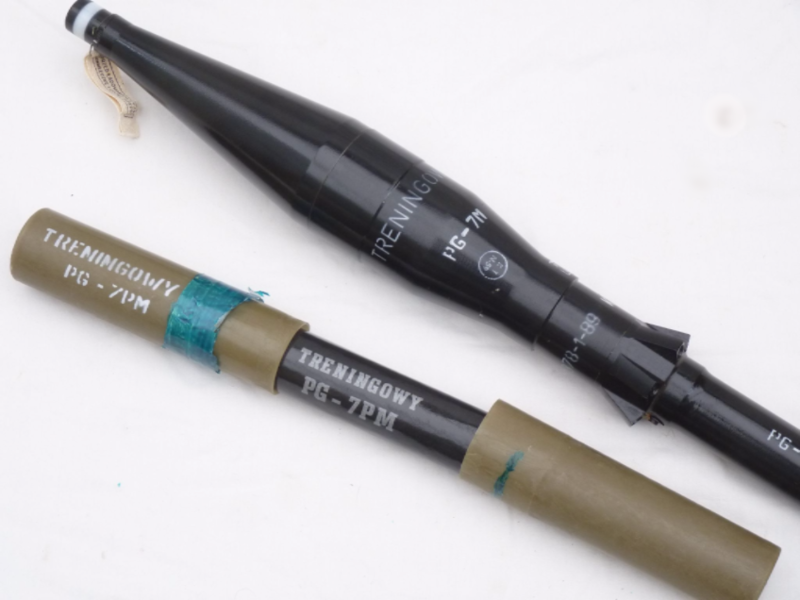 The word 'TRENINGOWY' is clearly marked on the warhead and vane sleeve which is Polish for 'TRAINING'. **Please note, we have a small number of these and the pictures are only representative, but all are in similar good condition.